Square is a mobile payments solution that offers businesses with multiple financial and merchant services. Its features include credit card processing, POS, invoicing, appointment booking, and more. In this article, we cover user reviews and pricing. Ready to try Square? Get it for free. Users who gave Square a positive review said that they are happy with its card reader and payment processing system. They added that the easy-to-use mobile payment system allows many small businesses to be more flexible and accessible in terms of receiving payments on-the-go. Users who gave Square a negative review complained that it is difficult to reach a live support representative when they need to, saying the company’s email support is not convenient for urgent situations. Square software is free to download. However, if you require hardware from them, they offer six options: Square Reader for Magstripe (free after signup), Square Reader for Chip Cards ($35), Square Reader for Contactless and Chip ($49), Square Stand ($169), Square Terminal ($399), and Square POS ($999). *Your first magstripe reader is free. Each additional reader costs $10. Manually keyed-in card payments charge a 3.5% + 15¢ fee. Ready to try out Square? Get it for free. 5 Best Mobile Credit Card Processing Options for 2018 — Mobile credit card processing lets you process credit card payments on-the-go using a mobile credit card reader connected to your smartphone or tablet. In this guide, we compared five of the top mobile credit card processing providers that cover a full range of mobile payments options for small businesses. Is there a limit to the number of transactions users can process via Square? None. Square can process payments as many times as you need to, but it has a $50,000 limit per transaction. 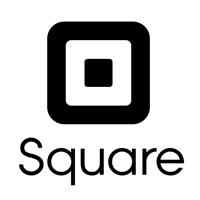 Currently, Square is available in all states of America, as well as in Australia, Canada, Japan, and the UK. Also, Square can only process payments in the country in which it was activated for. Not sure if Square is the right fit for you? Read our reviews of all top mobile payments providers or check out one of these three Square competitors. They make POS process very simple. You can create an item library so that you can add specific items and varieties when you charge a customer (eliminating the need for a price list or making paper invoices), and it helps to track stock and show you trends of what you sell the most. The option to use the Online store is not always user-friendly. It works, it’s free or low-cost depending on how many advanced features you want (you don’t have to pay to set up a store; there’s just a 30 cent charge per transaction through the online store + the usual commission you would pay if doing a swipe or entering a credit card online manually). There are some things that seem backwards or are just hard to figure out, like you have to create an item and put in description and photo on the online store side, but then go into the Square dashboard to put in stock and set up whether or not it’s taxed, etc. If you don’t do that, the item will show up as unavailable in the online store despite the photo and description being there. Seems like it could be more streamlined. I will say that Square recently acquired Weebly, who used to run the online store element, so it’s likely that some of these hiccups will be worked on soon. Nothing, really. It just would’ve been helpful to have a step-by-step how-to with a flow chart and screenshots for setting up the store and then editing stock, etc. It wasn’t easy to find the Help info to figure that stuff out. 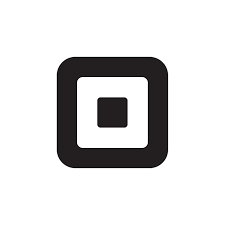 Square makes accepting payments and operating a small business exceptionally simple. 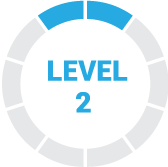 They have a user friendly interface that can be learned quickly. 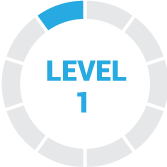 Their online platform looks clean and modern, which also helps our company feel like we know what we are doing. The only downside I have had so far involves customization of receipts. There are limited options to making your receipt look like it belongs to your company. This is fine, except our logo never uploads properly for online transactions on the receipts and invoices. I wish I would have known how incredibly simple it is to process electronic payments. We neglected to use Square simply because it was something else to implement. Now, it seems ridiculous that we did not have it available for electronic payments. It’s 3 months now. I do have video to back this up. I call, got through, then he hung up on me once I voiced my complaint. Call back? LAUGH. They deactivated my acc # so when I call they tell me that my cust # is not valid. So now they do not have to deal with me and keep my funds. So now I am sending emails each day until our local news picks this up because I do want my money which they are gaining interest on. As pissed as I am, I am sharing my experience so that other small businesses don’t get screwed like i did. I’m a mom and a small business owner. After a year of using paypal to accept my payments I decided to branch out to credit cards. Everything went well with square to begin with….until I needed to contact them. It’s not easy, it involves research and jumping through hoops. I received a large order and was excited, but I also decided to be smart and reach out to AMEX to make sure the card was legit. Amex told me because I didn’t have the full credit card number they could not check on their end and i should contact square to get the information needed. When I finally figured out how to get square on the phone and spoke to them they told me they can’t see the credit card number either and they can’t confirm with AMEX, but they assured me that there were no red flags on their end and that if the billing and shipping match there shouldn’t be a problem and they also let me know if anything did go wrong it was on me. Ummmm, ok why am I paying them if they can’t even protect me I wondered. I mailed the merchandise and made sure to get tracking and signature. A few months later I get an email from Square saying that a bank reached out to them and that this sale was under investigation and the client said they had not made the purchase. I was so pissed. So square said I could provide evidence and challenge the bank. Luckily I had all of the evidence needed….matching billing and shipping, email correspondence and proof of shipment and delivery signature. I got an email yesterday that the bank sided with their own customer…. (why am i not surprised) and that I need to pay square back in full. I emailed requesting a payment plan, they responded giving me some options and then debited my account the full amount. Thanks for protecting a small business owner and thanks for taking funds out with no time wasted and putting me at negative. I’ll never work with them again. That’s not taking care of your customer. I love that I can always have the option to sell my goods. The app can even be ran offline, which is highly convenient when traveling to areas that do not have the best cell reception. Sometimes I run impromptu events, so when I don’t have the ability to say “Bring Cash” beforehand, Square makes it so I don’t lose out on sales to my customers. I wish there was a way to show customers the fee that is being charged for using the app. I always explain that’s it is a convenience fee, but it would be nice to see that itemized like taxes. Some of my customers write these fees off on their taxes, and it would be nice to not have to generate a separate form. I haven’t used the Square Storefront so I can’t speak to its web presence, but it is something of a disconnect from my Shopify web presence so it could integrate better with that to provide a more seamless environment.